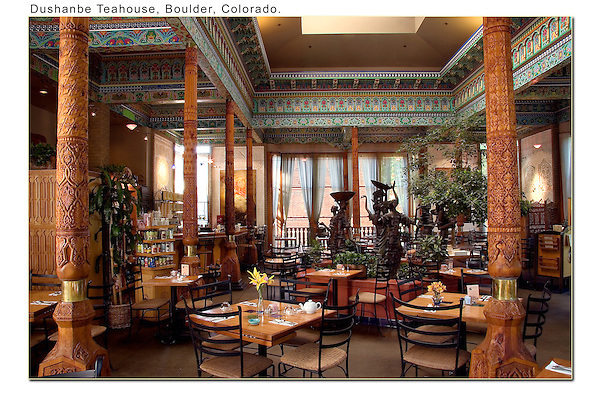 Dushanbe Teahouse, interior, Boulder, Colorado. Outside Imagery offers Boulder photo tours and Boulder hikes. Click the above CONTACT button for inquiries. Colorado tours year-round. Rocky Mountain National Park tours.